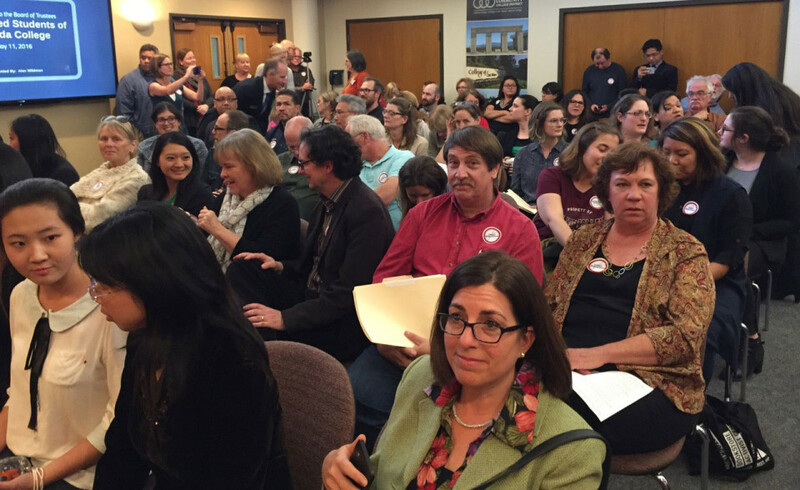 On Wednesday, May 11, more than fifty faculty members from all three campuses packed the District Board room to support their colleagues who were there to speak to the Board of Trustees about the ever-increasing burden of non-instructional duties. Each of the five presenters looked at the problem from a slightly different angle, but they all had one thing in common. They all expressed their dedication to their students and their desire to contribute to the success of their programs, departments and colleges. David Meckler (in photo below), full-time Music instructor at Cañada College, led off with a visual tour of some of the administrative tasks that consume faculty time. According to David, Curricunet, Tracdat, Webaccess and Online Planning are all “necessary tools”; however, they can become a time-sink due to each of their idiosyncrasies and their non-intuitive potholes. Instead of taking minutes, these programs can take hours of time that might be spent, in David’s case, learning new music software to share with his students. David has been with the District for 19 years. 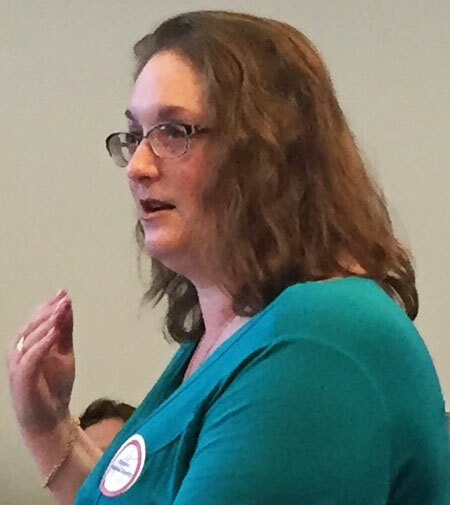 Sarah Harmon (in photo below), part-time Spanish and Linguistics instructor at Cañada College, framed her remarks with an image of a farmer who needs to plant his acreage: “How will he put together his team? Will he hitch up just one horse or will he add a few ponies?” Sarah went on to describe her work trajectory since she has become increasingly involved in her department and the college. 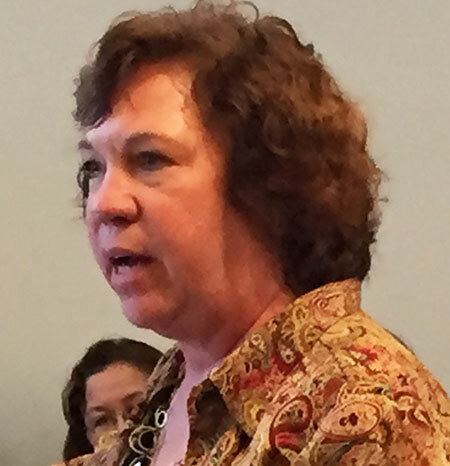 In 2006, when she came to Cañada, she noticed that the one full-timer in her department was taking on all the non-instructional tasks: Program Review, SLO’s, 6-8 college committees, etc. She watched her full-time colleague — “the lead mare”– becoming exhausted, “so this pony decided to hitch up to the plow.” Sarah took on a number of essential departmental tasks and helped out on college committees. She found that she too was becoming over-burdened – and in most cases – uncompensated for the work she did outside of teaching. Sarah ended her presentation by coming back to the analogy of the farmer and his fields: What should he do? “Hire more horses? Pick up some extra ponies? Scale back the farm – a high-producing, high-quality farm?” She left the Board with the question: “How would you recommend he put his team together?” Sarah has taught part-time at Cañada for 10 years. Rebecca Alex (in photo below), full-time Art instructor at CSM, documented the hours she works per week and gave a copy of her itemized workload, which comprises more than 60 hours, to the Board. As the one full-timer in her department, she does all the administrative tasks and carries out extensive community outreach, finding internships and employment for her art students. Rebecca ended with the question: “Why do we go these extra miles and put in these extra hours?” She then gave a moving example of how the work she does outside of the classroom impacts the larger community as well as the college community. She worked with several cultural clubs on campus to paint a mural that took at least 1000 hours to complete. Once it was done, a group of students with cultural roots in the Pacific Islands were set to perform their songs in front of the mural. Rebecca watched as the students faltered and couldn’t seem to raise their voices above a whisper. Their teacher pointed to a section of the mural that depicted a powerful moment in their heritage and encouraged them to sing with that same power, and they did – loud and strong. Rebecca has taught in the district for 21 years, 18 part-time and 3 full-time. Jacquie shared an anecdote about her 11-year old daughter, who watching her mom going over course outlines on Thanksgiving while the family was playing outdoors, told her mom that she’d never want to be a counselor because they work too much. 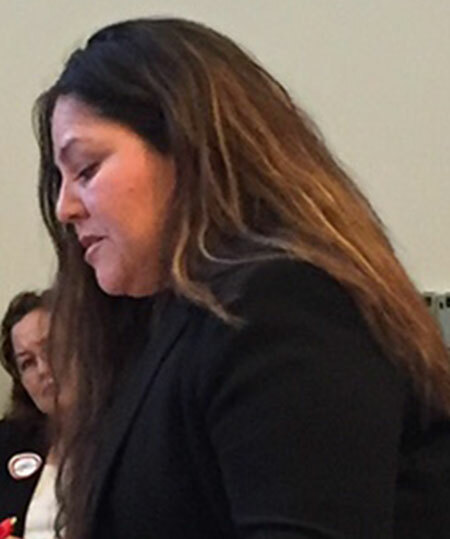 Jacquie said she didn’t want her kids to “reflect back on their childhoods and feel that Mama wasn’t there because she was working too much.” She felt she had to choose between an assignment that she loves, as the college Articulation Officer, and her children. She chose her children and asked to be transferred out of the AO job. Jacquie ended her presentation with these important questions: “How do we continue to do the work that we love and find meaning in it while balancing the demands of our jobs? How do we balance the individual needs of our students with institutional priorities?” Jacquie has worked at Skyline for over 20 years. 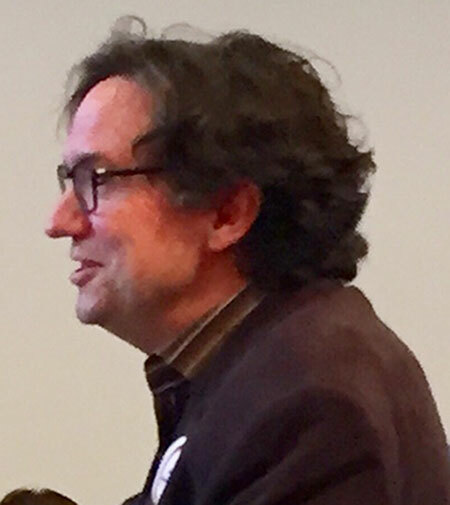 Steven remarked that new initiatives are often “created in a vacuum without consideration of how to staff them.” He ended by saying that faculty are motivated by the success of our students. “But as we pursue these beneficial initiatives, we become spread thinner and thinner and thinner.” Steven is in his fifth year at CSM. 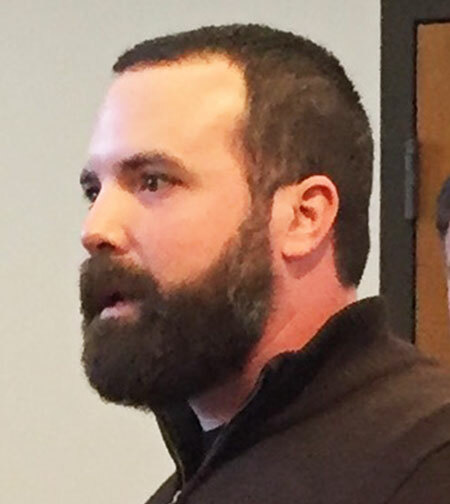 Since the faculty presentations were made as “public comment” before the regular Board agenda, it is standard procedure that Trustees do not respond to the comments; however Board Chair Dave Mandelkern did thank all of the speakers for their presentations. 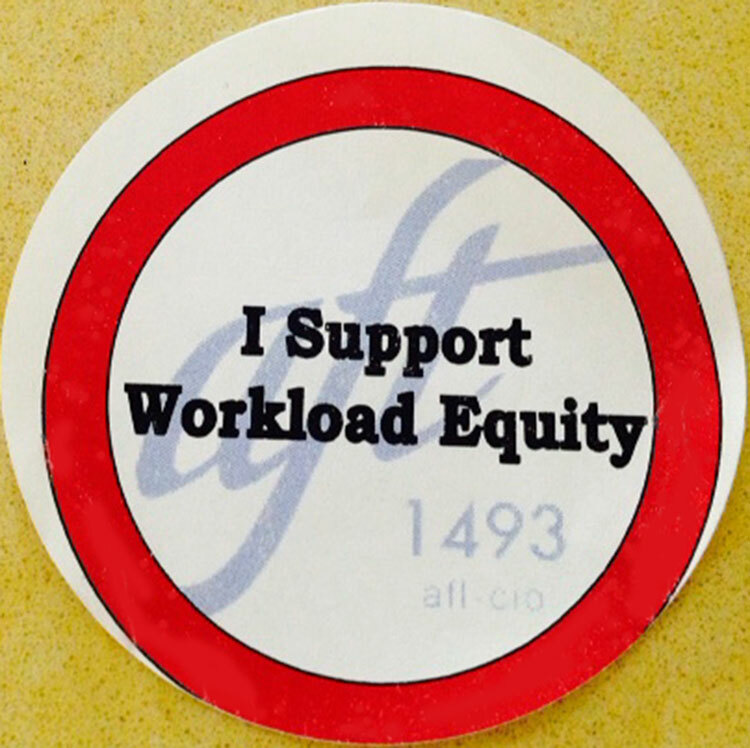 The AFT’s proposed contract language on workload equity will be the main item on the agenda at the next Union-District negotiations session on May 20.